From The G.R.A. take the exit nr. 14 (A24) direction city centre and drive to the last exit on the “Tangenziale Est” (the last one) following the direction “Stazione Tiburtina”. Getting the first gate and drive along the Tiburtina Road; after the door of the ancient walls turn to the right for “viale Pretoriano” and at the traffic light turn to the left. At the second block turn again to the right for via dei Mille. The second street to the right is via Marghera where you will easily see our sign. All Intercity and Eurostar trains from major Italian cities (Milan, Naples, Venice and Florence) arrive and depart from Termini, Rome’s main train station. 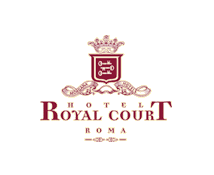 From The Station to Hotel Royal Court are 3 minutes by walk.